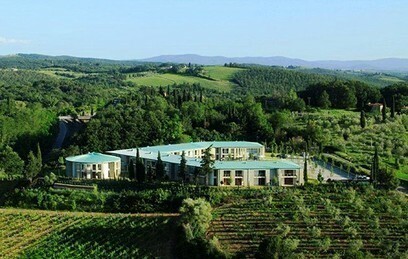 Set amidst the perfumes of the Chianti area, astride the lush green Val di Pesa and Val d’Elsa, Tavernelle Val di Pesa entrances visitors with the beauty of its scenery, its superb wine and the traditional high spirits of its inhabitants. Its historic centre offers some fascinating monuments such as the Badia a Passignano, an ancient monastery with an outline resembling that of an old fortress, fine churches such as San Biagio, Santa Lucia al Borghetto, the Madonna della Neve in Gothic style, and a host of fine noble palaces and villas which grace the surrounding countryside. Choose your means of getting about – on foot, on horseback or on two wheels – Tavarnelle Val di Pesa offers you a chance to plunge into the past. 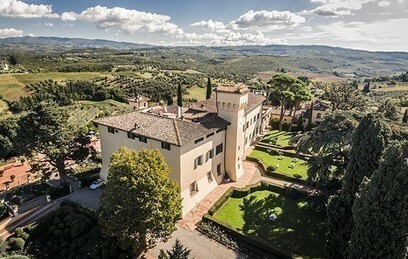 If you are country and nature lovers, you are bound to appreciate one of the elegant luxury facilities set on the Florentine hills, just a stone’s throw from the ancient centre of Tavernelle Val di Pesa – an excellent choice to plan your exploration of the surrounding areas. 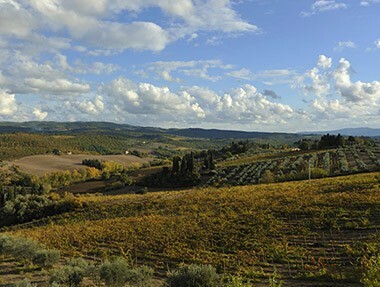 Springtime sees an explosion of colours and scents in the Tuscan region of Chianti, so, the ideal backdrop for an unforgettable holiday. 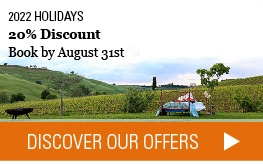 But the summer too – long and hot – is an excellent period to visit Tavarnelle Val di Pesa, and of course the mild autumn months are perfect for trekking and walks to the discovery of the surrounding areas.